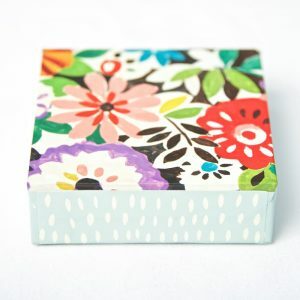 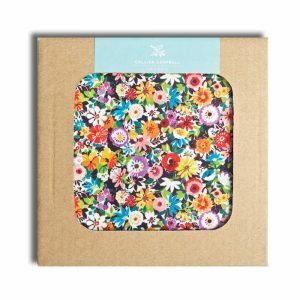 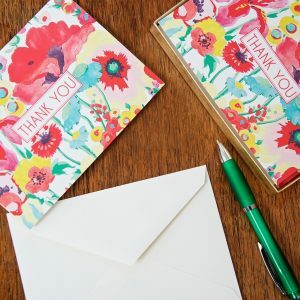 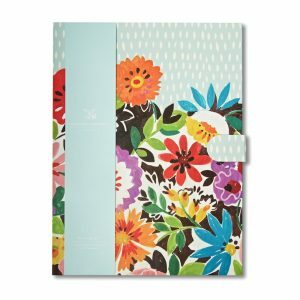 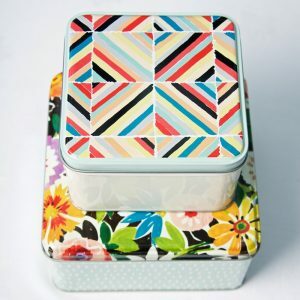 A stylish memo block with a solid outer box with a magnetic closure in a delightful floral design with plain white paper pad inside. 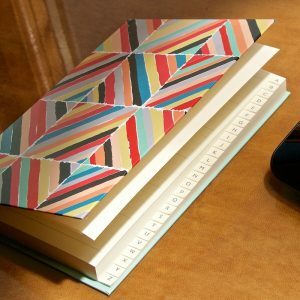 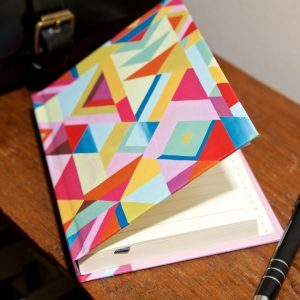 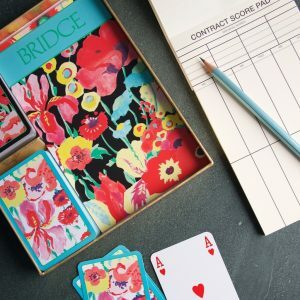 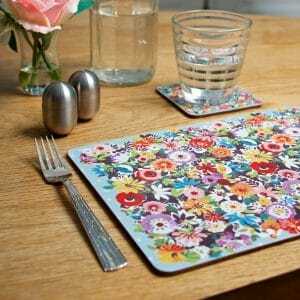 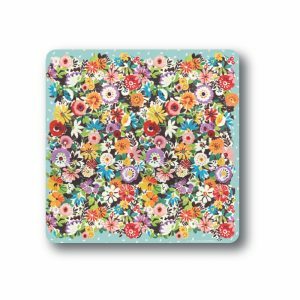 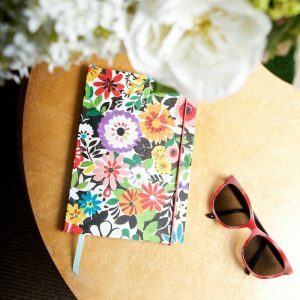 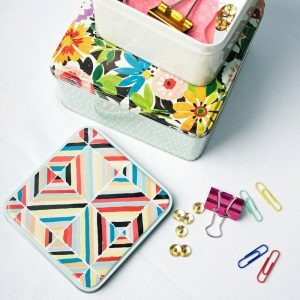 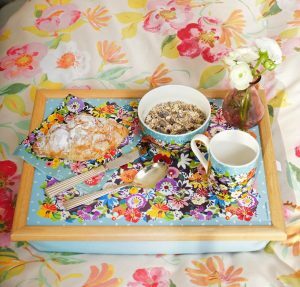 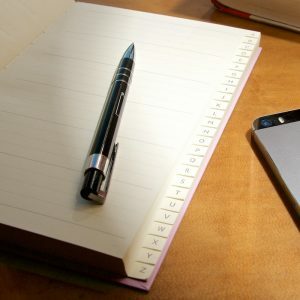 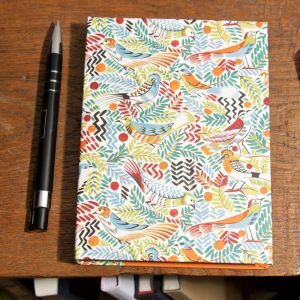 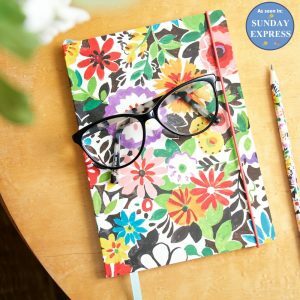 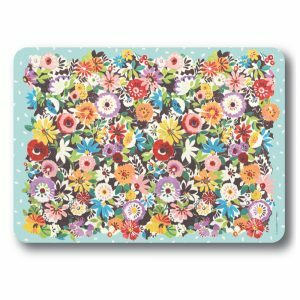 This pad would look great on any desk, beside the phone, or keep it in the kitchen for your shopping lists or by the bed for when you get sudden inspiration! 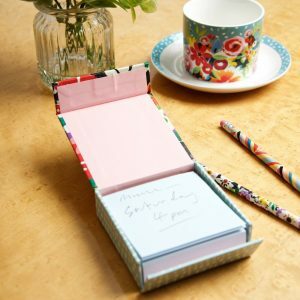 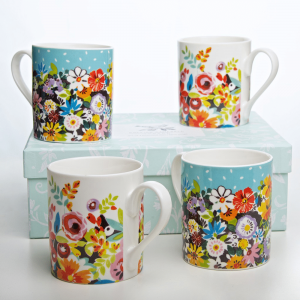 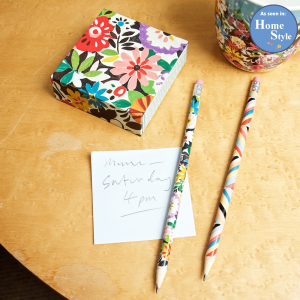 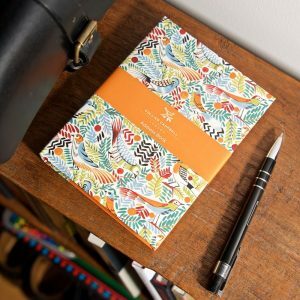 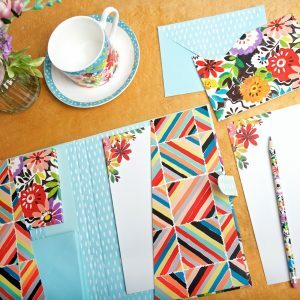 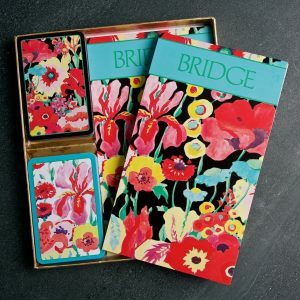 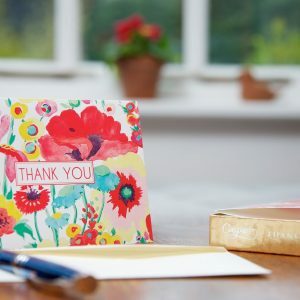 It makes a lovely present for a friend or colleague – add a matching notebook or pencil set for an even more special gift. 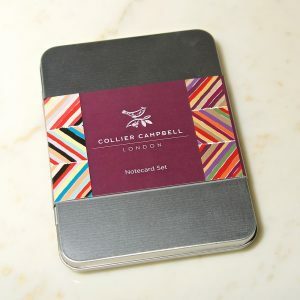 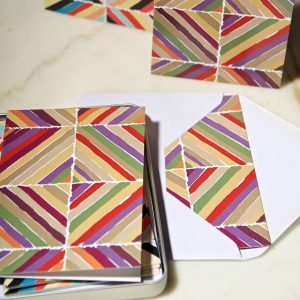 Comes wrapped in tissue and we can add a personal message on a Collier Campbell card.